San Diego Comic-Con has come and gone, and left an ocean of teases and previews in its wake. We here at Oohlo Labs™ know most of you are way too busy living your lives on your all-too-short weekends to comb the internets for juicy tidbits of coming attractions. Luckily for you, we here at the Labs live for this stuff and have collected it all here in one place. We’ve also done a TV version here. All the big movie studios were at SDCC, whetting the appetites of fans all around and as trailers go, there’s not been an uninteresting one in the bunch. 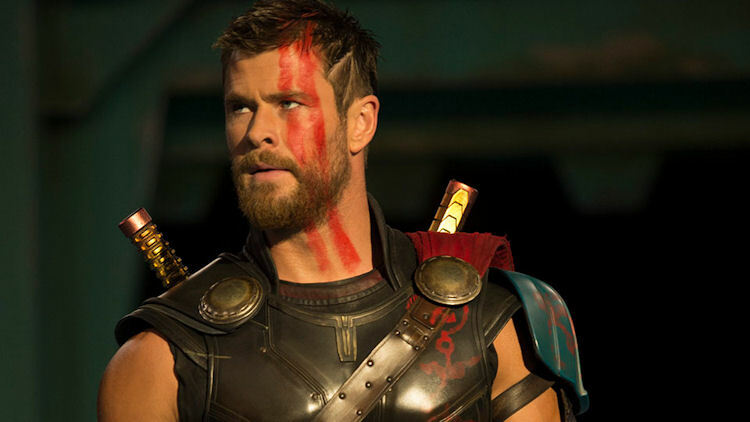 Marvel Studios trotted out a brand new trailer for Thor: Ragnarok that was heavy on the Hulk and Tessa Thompson; neither development was disappointing. The Hulk is so chatty, now. The casts of Ant-Man and Wasp and Black Panther spent some time onstage. The most interesting development surrounds Captain Marvel, and how it might flip the MCU on its ear. It’s going to be set in the 1990s with an eyepatch-free Nick Fury, and shapeshifting, evil aliens the Skrulls as the main baddies. So, how she relates to anything going on in the cosmic realm of Marvel’s movies set in the current time is anybody’s guess. No to be outdone, DC/Warner Bros. also revealed a slate of new tidbits and announcements that lead, off with a Wonder Woman heavy trailer for Justice League. There’s some interesting bits with Cyborg and the Flash, but Aquaman sky surfing on an enemy footsolider through a building leads one to believe that Jason Momoa is going to steal the show in this one. Also Ben Affleck refuted recent reports that he might not be Batman much longer. DC also trotted out their upcoming slate of movies that officially confirms sequels for Wonder Woman (still no Patty Jenkins announcement, though) and Suicide Squad as well as the Joss Whedon Batgirl project. Not content to let the superhero set hog all the spotlight, Steven Spielberg dropped a teaser for Ready Player One, based on the novel of the same name. Although the latest trailer for Kingsman: The Golden Circle came out just before SDCC started, there’s too much Channing Tatum and Pedro Pascal to ignore. The fun gets started in September, with the release of the Kingsman sequel.